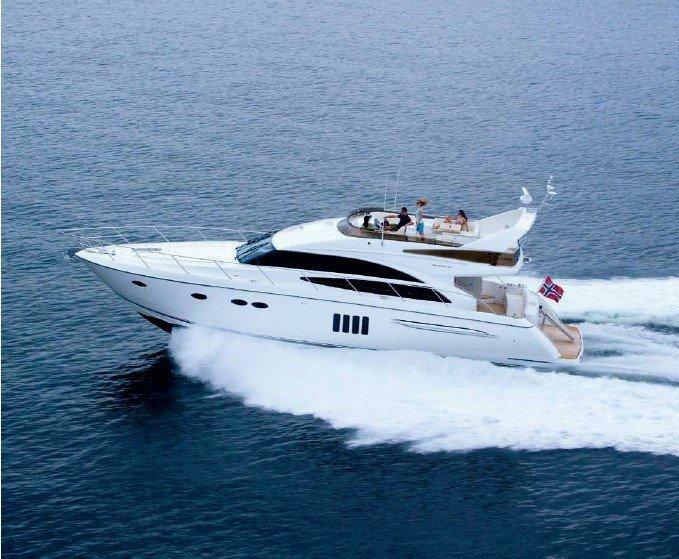 This Princess 72 from 2011 is suited with the best characteristics to make for the perfect luxury charter departing from Mykonos. It offers 4 cabins and 4 fully equipped bathrooms, as well as a luxury tender with outboard engine, jet ski, on board WiFi and many more water toys. The crew consists of the captain and a hostess that will make sure you have a great and comfortable charter.